University Spin off of the Department of Information, Electronic and Telecommunications Engineering of the University of Rome, “La Sapienza”. 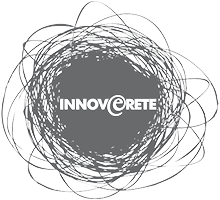 ICTinnova was born in January 8, 2013 as a innovative start-up, following the new D.L.Crescita 2.0 (became Law 221/2012). The company relies on the experience in the ICT and multimedia field of the founding members, who come from academic excellence. ICTinnova has made a scientific collaboration agreement with the DIET Dept. of the University of Rome “La Sapienza”, which involves the use of the university research results, and the use of both university laboratories and equipment. 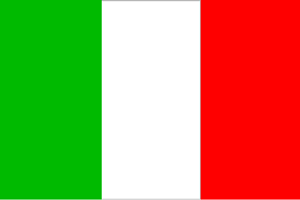 Scientific collaboration agreement with Kenako SrL, Rainbow Academy SrL, DPD GROUP SRL, Clever Production Srl, the Department of Information Engineering, Electronics and Telecommunications, University of Rome “La Sapienza”, the AURISonlus non-profit organization. ICTinnova, in partnership with Cybertec Services Srl and CNR, involves in the ComputArte project, which aims to turn your computer into an ornamental element of decor. This project has the scope to make an object unique regarding shape and materials; moreover providing it with innovative interfaces for its use, either by voice command or through gestures, thanks to Kinect technology. ICTinnova involves in two networks of national scientific collaboration aimed to build stable relations between research and business world. The two networks are constituited by the following companies: Digital Video S.p.A., Mediavoice SrL, Ingegneria 2000 SrL, Mantrics SrL, I4E2 SrL, Video Progetti SrL, and by the research institutions of DIET Department and AURISonlus. They work in the ICT and Multimedia field. The enterprise network INNOVERETE (www.innoverete.it), formed by ICTinnova Srl and two other SMEs, DPD GROUP SRL and Unitalia SrL, aims to create a complete supply chain in the field of multimedia and audiovisual production, applied in different fields such as entertainment radio film and television, digital entertainment (web, mobile apps, gaming), information and communication, advertising. The business plan for the establishment of the business in the “Net Contract” form has been submitted for funding in response to the announcment of Sviluppo Lazio SpA titled “Insieme X Vincere – Start-up di reti”. October 15, 2013. ICTinnova gave his agreement for providing the Start Up tutoring service with BIC Lazio SpA and has registered to the Lazioeuropa.it portal to be facilitated in European funding collection and research partnerships.